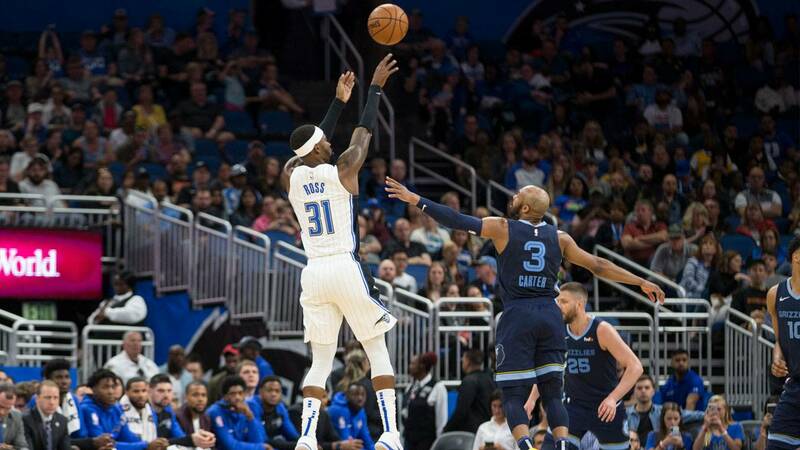 ORLANDO, Fla. - Terrence Ross scored 31 points and Evan Fournier had 27, including the game-clinching free throws, and the Orlando Magic rallied to beat the Memphis Grizzlies 123-119 in overtime Friday night. Ross' third 3-pointer of the period cut the Magic's deficit to 99-97 with 6:02 left. Orlando finally caught the Grizzlies at 104-104 two minutes later when Augustin scored seven straight points on a pair of drives and a 3. Bruno Caboclo made one of three free throws to put Memphis back in front 105-104. Orlando had three chances to take the lead, but couldn't convert any of them.